This is designed to suit most commercial and industrial applications and where natural light is required. It is widely used on workshops, essential services depots (e.g. 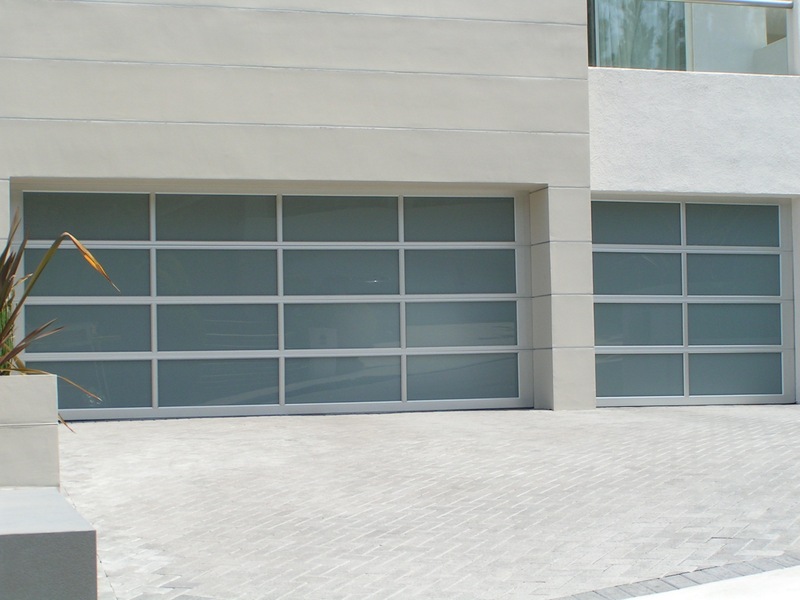 ambulance stations, fire stations) office showrooms, service stations or anywhere an architectural designed door is required. The door sections will be constructed using anodised extrusion, specially designed aluminium "box type" glazing machined to match the profiles of the mating members and bolted together using full length bolts to provide a weather tight interlocking joint. The sections will be divided into equal panels of approximately 1,200mm in width using the intermediate aluminium mullion members. 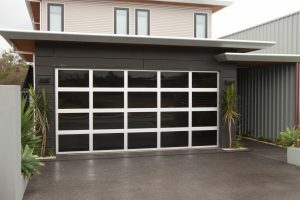 The sections will be glazed with 5mm acrylic (clear or tinted) and/or 2.5mm thick aluminium anodised panels secured with a clip-in type rigid P.\/.C. glazing clip and weather sealed with a Grey adhesive gasket. Bracing will be incorporated where deemed in design and will be fitted to the back of the door sections to withstand wind loads and door span in the closed position. The aluminium overhead door can be provided with 5mm thick acrylic, 4mm clear or tinted glass or 2.5mm thick anodised aluminium panels as standard. 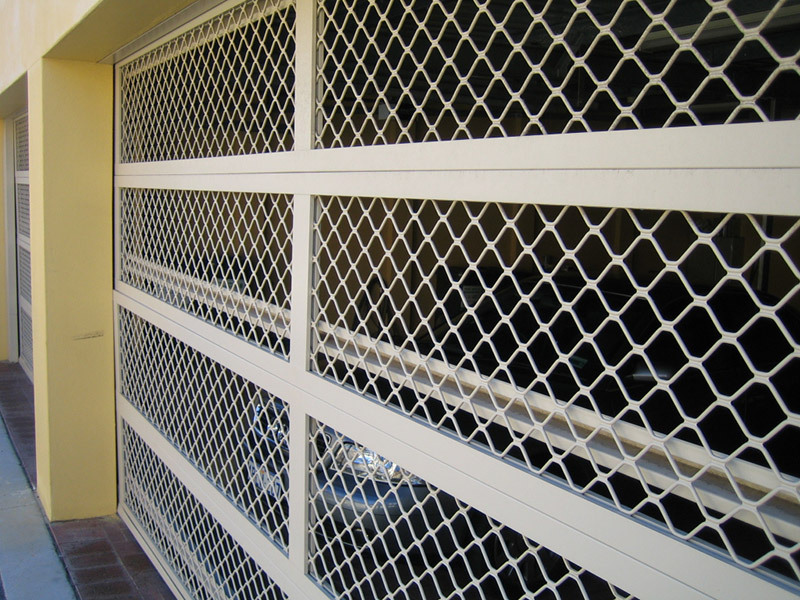 Other types of infills are 4mm toughened, clear or tinted glass or 5mm lexan clear or tinted. Should other types of infills be required, please consult the manufacturer. Standard design is recommended up to 5 meters high by 8 meters wide or 30 square meters. Should opening exceed these sizes, the manufacturer should be consulted. 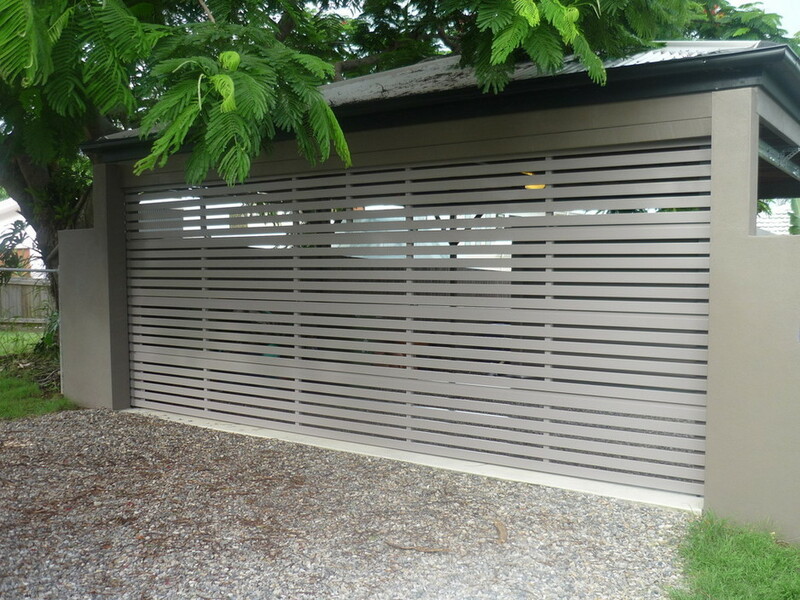 Door sections are available in natural anodised as standard. 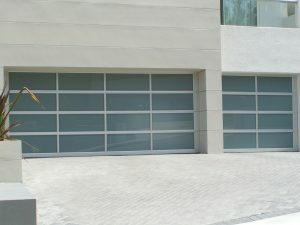 Powderkote finish in available in various colours (as specified). Panel lnfills, 5mm Lexan, 4mm Toughened glass, clear or tinted, etc, please consult the manufacturer. For further information (tracking etc.) see installation detail sheet. 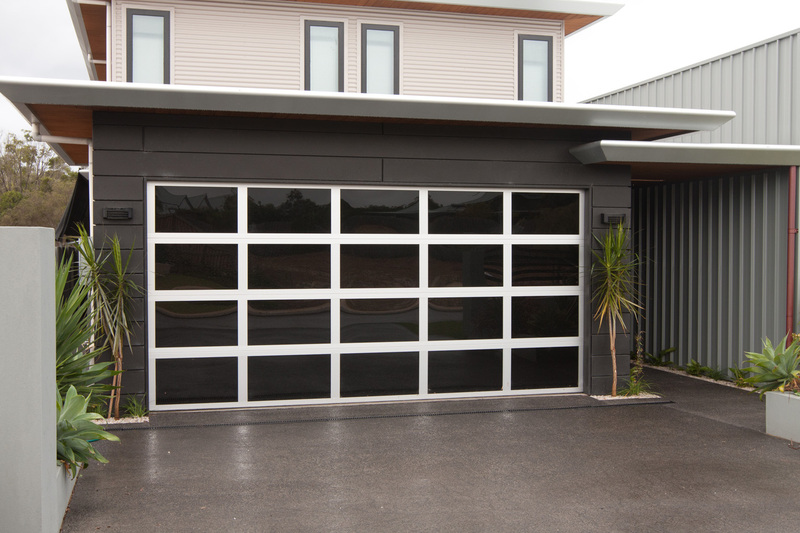 The sectional overhead glazed panel door will be as manufactured by3rd Generation Doors. The door will be constructed from clear anodised (or as specified) "box type" aluminium glazing extrusions machined and bolted together using full length bolts at each mating joint and glazed with 5mm clear or tinted Grey acrylic or 2.5mm thick aluminium panels (as specified) sealed in a Grey gasket and clipped using a rigid PVC. glazing clip. Door to be braced as deemed by the design. 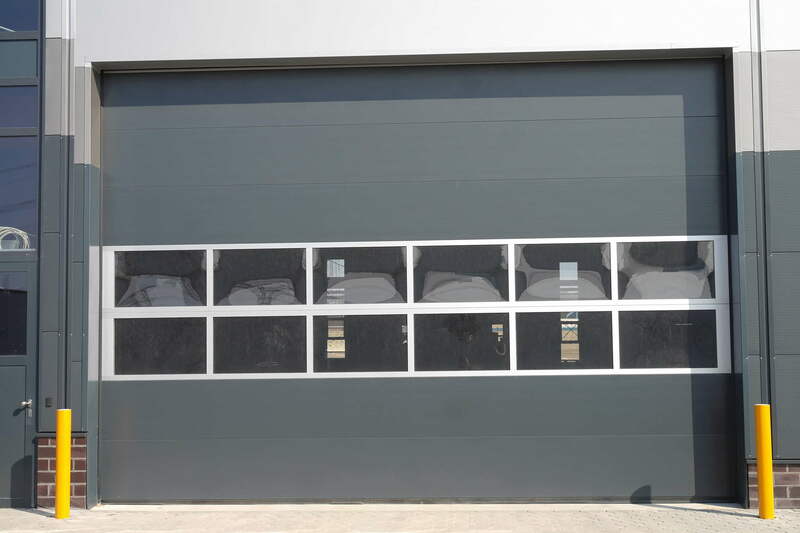 The door will be supplied with all necessary hardware, spring counter balancing mechanism and tracking (standard headroom, low headroom, high lift or vertical lift as specified) and installed to the manufacturers recommendations. 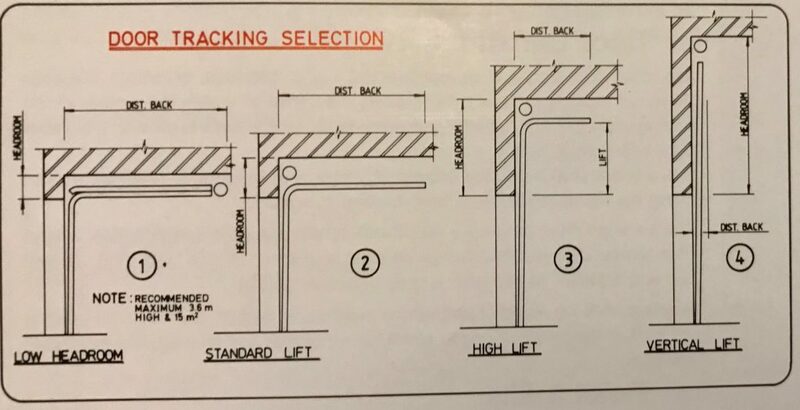 Brackets and hinges will be manufactured from heavy gauge galvanised steel having a minimum thickness of 1.6mm to a maximum of 4mm. Where doors exceed 5,000mm in width, will be fitted with double hinge wheel brackets and long stem shaft wheels. Horizontal tracks will be reinforced with steel angle 40mm x 3mm thick. The tracks will be supported at the ends and where tracks exceed 3,000mm a centre support will be provided. 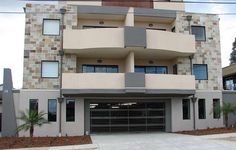 Chain Hoisting will be fitted where doors exceed 4,000mm in height or when specified. Locking - Internal quick release slide arm, engaging into the track at one side with provision for padlock (by others).